NIA CHARLESTOWN NEVIS (NOVEMBER 05, 2015) — The Literacy Team at the Department of Education on Nevis will host the first reading festival on November 06, 2015. The event entails a march through Charlestown to the Elquemedo T. Willett Park from 8:30 a.m. and an activity-filled session at the park from 9:30 a.m. to 3:30 p.m. According to Education Officer responsible for Literacy Development Terres Dore, the event will involve children from all primary schools on the island in Grades 3, 4 and 5. 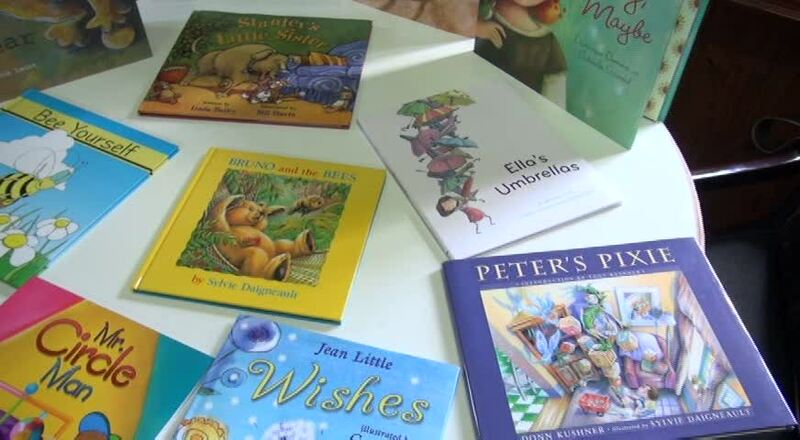 They will participate in a range of learning activities promoting literacy. “There will be storytelling, word search, games and craft. It will be very interactive, very fun and it’s all based around literacy,” she said. Meantime, Dore noted that the event is a collaborative effort between the Department and OneWorld Schoolhouse Foundation which provides the students with the opportunity to interact with books. She said the Department embraces the programme and sees it as an opportunity to provide rich, fun, interactive ways for children to learn to love books and to cultivate a love for reading. The Education Officer used the opportunity to appeal to parents to get involved in the programme to take the rate of the children’s success higher. She urged them to volunteer to assist and said all those who wished to do so should register with the relevant primary schools. “We do need the help at the booths. We want to ensure that all children are able to participate in the various activities we have planned but we do need adult supervision and so we appeal to you to come out on Friday November 06 from 9 to 3:30 p.m.,” she said. Dore also urged parents to continue reading with their children and encourage them to continue loving books because there is so much they can learn. She said in addition to developmental reading, reading across the curriculum and independent leisure reading should be given prominence, since it could open the world to students. Co-founder of OneWorld Schoolhouse Foundation Richard Clewes explained that the programme is rooted in the belief that books create curious minds. “We use the expression ‘Imagine That!’ to really remind readers that they are reading for the story, of course, but on top of that, what they are doing is acquiring the skill to believe in perhaps, things that are made up and not rooted in reality. “That’s a very useful skill because that develops a child’s ability to conceive fresh ideas and to conquer challenges and problems along the way in their lives, for themselves and also their communities so there is a very positive and practical aspect to reading,” he said. Clewes noted, that the programme is based on reading 12 books and responding to the books in the written form of a passport. It serves as a reminder that Rainforest Reading is in fact at a destination. He said the children are required to read the books at their leisure as there is no competition involved. The foundation’s co-Founder added that through the programme, the children acquire the ability to comment on the book which is very useful for the CXC Common Entrance Exam in Grade 6 and provides an avenue for the children to affiliate with each other in an effort to develop a sense of community and a sense of pleasure in the acquisition of the stories. 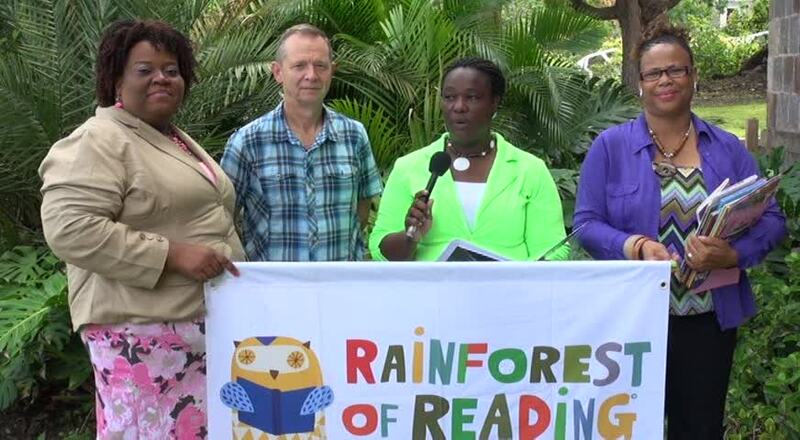 The Rainforest of Reading Book Festival will follow two and a half weeks of reading the stories in the schools around Nevis. Also present were other members of the literacy team, School Libraries Coordinator Londa Brown and Education Officer responsible for Creative Arts and Learning Support and Author Cynthia Grenyion.